A common term held when discussing slot machines is volatility. It’s nothing to do with the behaviour of a player after just missing out on the progressive jackpot again. So just what is it and how does it influence the games we love to play? Volatility is actually all about how often the game you’re playing will pay out and how much it’ll deliver into your account balance. If a game is described as being a high volatility, this means it pays out less frequently than other games. Now that doesn’t sound very appealing but although it may not pay out that regularly, when it does, it pays out large wins. When playing the game, you’ll most likely have long periods of time when spin after spin fails to produce winning combinations. Then one comes along and it’s not one of the low value winning combinations but one of the higher paying ones. As you might have guessed, a low volatility slot game is the exact opposite of a high volatility one. It will regularly pay out on winning combinations but those wins will be of the smaller variety. All those low value playing card symbols that pad out reels in games will keep your account balance ticking over, but those large value symbols won’t be making too many contributions. In some games you have the opportunity to decide whether to play in high or low volatility mode. 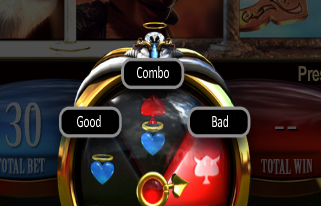 The BetSoft game ‘Good Girl, Bad Girl’ is a good example with the choice of either siding with the angel or the devil. In that BetSoft game that I’ve just mentioned, you have that important choice to make. So should you go for a high volatility game or a low volatility one? It all depends what you are looking for really when playing a game. If you want to win lots of cash, then go for the high volatility game. You’ll need to be a patient player who will accept that you may play a lot of games without any wins coming your way. But they need to be careful and stick to their agreed financial budget. Panicking and putting more money in as you try to chase losses just isn’t a good idea. Players can be rewarded with the big wins they desire but it really is a gamble. Some games, especially those from Real Time Gaming do provide the player with information that indicates whether the game they are playing is of high or low volatility. Finding out which category a slot game fits into can often only be determined by actually playing the game. Now this could be a painful way of discovering the answer, especially if it turns out to be of the high volatility nature. So, this is where playing games for free can be a real advantage because you’ll learn just how the game will play and all the time your financial budget is totally protected. Games that have low value wins that are of a high amount will tend to have a high volatility. An example of this is IGT’s ‘Lucky Sevens’ as is Bally’s ‘Blazing Sevens’ Games with high multipliers are also likely to be high volatility slots. Slot games really do come in many different guises. It’s entirely up to you which games you play. 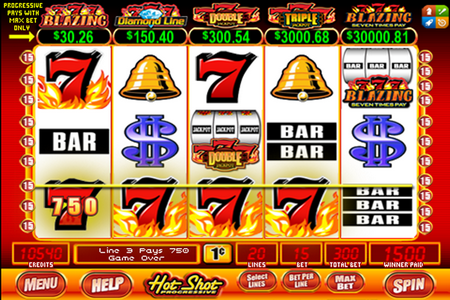 Simply choose one that fits the way you want to play slot games. So either take the risk and play a high volatility game and possibly win some big prizes or have some fun and aim for a small profit on a low volatility game. SIGN UP NOW AND GET Latest Promotions! Join Our Mailing List & Get Free Spins and No Deposit Bonuses!